Beth Ramsey is a student in West Virginia Junior College’s Dental Assisting program, where she is striving to earn her associate degree in Dental Assisting. She hopes to be able to call herself a Nationally Registered Dental Assistant. 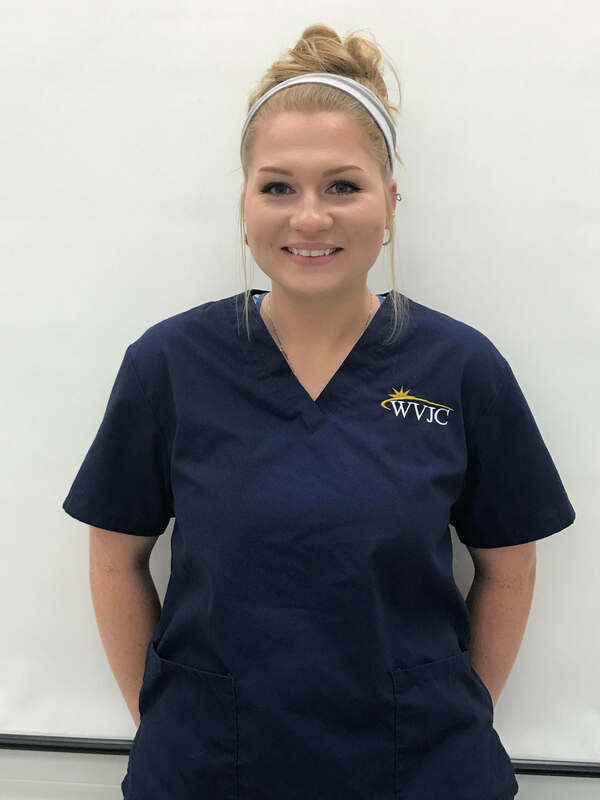 Beth began her dental assisting classes at WVJC in June of 2018, right after graduating from high school. She is a Dean’s List student and is always looking to improve her grades and test scores. Beth chose to study dental assisting because she has always liked going to the dentist and is interested in learning about proper dental procedures and instruments, and working with teeth in general. Beth is an active member of the Dental Assisting Club at WVJC. She attends meetings regularly and is always willing to give a helping hand when needed for club functions. In her spare time, Beth enjoys spending time with her friends and family around the fire in the fall. She also likes to spend time with her dog, running her in the evenings when she isn’t working. Beth plans to be working at a general dentist’s office after graduating with her dental assisting degree. Within the next five years, Beth hopes to get a job in the dental field, get married, and have kids.